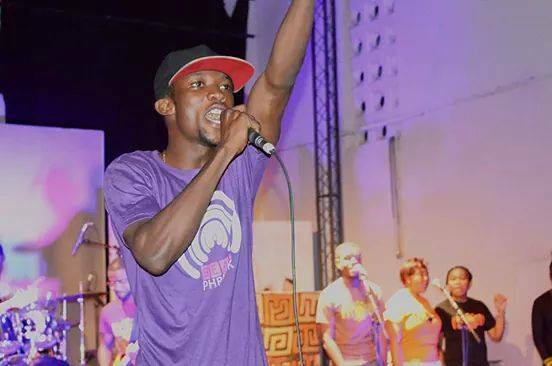 Kofi Acquah: It’s a privilege to have a personal encounter with such an inspiring and talented artiste like you. Besides, great minds like yours are not easy to come by. Could you please tell me more about Worlasi? 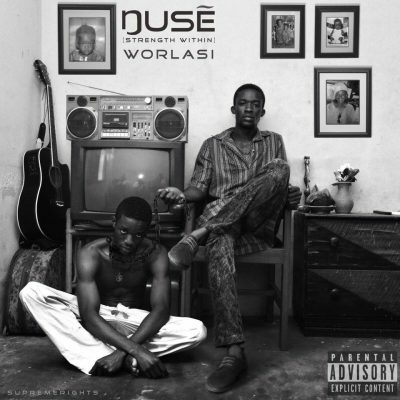 WORLASI: Worlasi was born and raised in Ghana, and he hails from Agbozume, Volta Region. He is a figure painting artist and also a musician. K.A: Great. How did the whole thing of your music career began? Have you ever dreamt of becoming an artiste? WORLASI: Well, it all began after Secondary School. I was at home one day feeling bored, so I wanted to do something. I tuned in to Yfm, and interestingly some music were banging on air. In fact, some weren’t good at all. On hearing that, I said to myself; “O’ this is not good, I can do it”. I began playing around with it anytime I was bored, and as time went by, I developed interest in it and felt the need to polish it. Though, I have never dreamt of becoming an artiste but knew I will become an artist rather. Because I always keep(t) drawing and painting. I actually knew nothing about music. K.A: So, are you also into anything else apart from music? If yes, how do you juggle them together, knowing well that it’s not an easy task? WORLASI: Yes, I paint and do drawing. I’m an artist. A figure painting artist. But you know, music in Ghana doesn’t really pay well. And I’m not doing the art because music is not paying well. I do art because that was what I schooled for. That is exactly my field. Music only served as a hobby, it was just by the way. I don’t fumble in anyway, combining all these. Because I already and also have a job whilst music is just my hobby. Although they are sometimes interlaced and seem stressful, but everything under the sun has got its pros and cons. Again, I do music when I’m bored and also jump to art when I’m bored. K.A: What genre of music do you do? 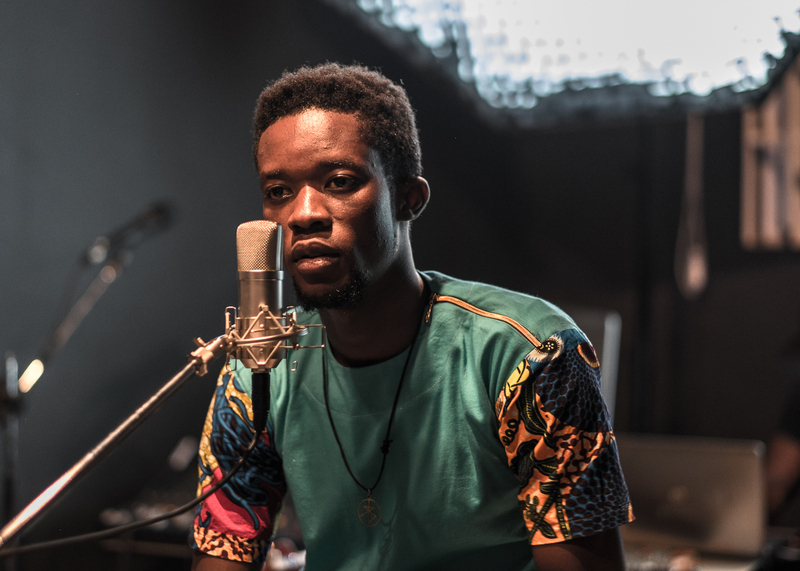 WORLASI: All I can say is a mixture of soul and rap. But its African flavour makes me call it an Afro music. I sometimes term it as Afro rap or Afro soul. But I know I’m doing music and people have it. I don’t really bother myself with the genre. K.A: What inspires you more to pour out your heart and share your thoughts through your music? WORLASI: I’m inspired by what goes on around me. The experiences of people, my personal experiences and my instrumentals inspire me. I make my own rhythms. Yes, I make the instrumentals for my music all by myself. Anytime I finish ‘cooking’ a beat, I sit back, listen to it and that inspires me to write. K.A: Worlasi, are you a poet? Do you in anyway believe the saying that, writers are not paid? And what do you say to that? WORLASI: I don’t even know whether I’m a poet. All I know is that, I write and listen to music. *Sighs*, I even don’t know how to put it. The fact is that, I don’t have any basis in neither music nor poetry. All that I do comes straight from within me, and I do it because I feel it’s right. Honestly speaking, I don’t think I have what it takes to be a poet. I don’t want to call myself a poet, because I won’t be able to answer questions if I’m called upon, so far as poetry is concerned. I’m just doing music. Anyway, talking about people not getting paid, I think it has become the status quo. It cuts across almost everywhere. I myself am not paid, and I’m sure there are some mainstream artistes who are also not getting paid. However, I don’t know what I can do about it. We just have to keep working hard. We must let them know that we are important. You can’t just go to someone and ask him/her for money. You let them know, that they need you so they have to pay you. That’s how it’s supposed to be. So you work hard and let them know that we are worth it. We have to come together, write together and let them know what we have. Then, they will pay for what we have. But we can’t just sit down and be relaxed; expecting them to pay us any amount they want. Yeah, you understand? I don’t know what’s going on actually, but the issue of not getting paid and paid well is everywhere. It’s not only poets/writers. Other disciplines fall victims to this canker. For instance, carpenters, masons, et cetera suffer the same thing. It’s up to us to prove ourselves. Let us come together, work together and let them know what we deserve. K.A: Looking at the journey so far, have you encountered some obstacles? If yes, how did you overcome them? In other words, how did you react towards them? WORLASI: Obstacles? I don’t think so. Apart from money which all of us need sometimes for something, I haven’t gone through any serious hardship so far. Even money doesn’t get my way, because I never had money when I started. My label is not giving me billions, but they’re helping with the little they have. We only need as much as we need to do what we want to do, to prove to the world what we have. There are people who don’t have anything, yet, the whole world is getting known of them. It’s only by hardwork and commitment. So I can’t say money is an obstacle. No! However, I don’t think I have been through any hardship. But I believe the fact that, there are bad times and good times. And I don’t think I’ve been through bad times enough to term it as obstacles. So far, I think everything is moving on smoothly. I take everything that happens to me softly and get back to work. K.A: Amazing! How do you see the music industry? And do you target specific people you want your music to reach? WORLASI: Hmmm… Charley, I don’t know what’s going on in the industry ooo…. Sometimes I feel like I don’t care about it. The fact is that, I don’t have the time to be nosy about what’s going on in the music industry. Yes, I don’t. I’m doing the art because it’s what I do. That’s what I focus my mind, soul, strength and everything on. I don’t have the time. Excuse me to say that; “I don’t care about what’s going on there”. If it’s affecting me, fine. That’s cool. Then, I have to maybe care about it. Moreover, inasmuch as I’m doing music and I’m reaching my fans, that’s it. I don’t have special people I want my music to reach. I want the people to reach to my music. And my music is reaching people who have to listen to it. I can’t choose the kind of people my music should reach. It’s music, and anyone who understands it can connect. It’s for you. K.A: Apart from what inspires you, are there some brains behind the scenes who also back the movement? WORLASI: So far, lyrics writing, beats making and everything is done by myself. I don’t actually have any brain behind it. Once in a while, ‘Kadi Tay’, a friend of mine sends in some ideas if I want to write about this and that. Nobody has written anything for me. I’m still working harder. People, for once in a blue moon send in stuffs, but I haven’t put anything out there that somebody has written for me. No. My management also sometimes put forth some ideas about what to write about. In sum, all I’m saying is that, all writings and everything are done by me, but some ideas sometimes come in. K.A: Alright Worlasi, where did you school? WORLASI: I went to Saint Stephen’s Catholic School, proceeded to Pope John’s Senior High and finally furthered my education at Takoradi Polytechnic. K.A: Could you recall one interesting incident that has ever happened in your life? WORLASI: Interesting? Hehe… Charley. I quite remember my maiden stage performance with Tintin at T-Poly, where they booed me and told us to get off the stage. We were performing the song; “Charley what’s up?”, and I think the video is on youtube. K.A: What do you intend achieving with music? WORLASI: I want to make a difference in music. I want people to know and respect what we have. The main aim is to change lives. I want people to call in and say; “O’ Worlasi, because of your music, this and that have happened”. I want us to be great and better people. In that, I don’t understand why we, as Africans, always move backwards. I want my music to give strength to the people. I want positive attitudes. They have to be strong, hardworking, intelligent, creative and more of greatness. That’s the main aim of my music. I want my music to reach the right people. Not necessarily reaching out to the whole wide world at large, but to those who need it. Let them have that change which will benefit them. K.A: You know what Worlasi? I have finally come to the most hanging part of this interview. I have kept an internal conflict as to when at all will my favourite question land. Now, this is the time……hehe….. Can you whisper to my hearing, your favourite food? 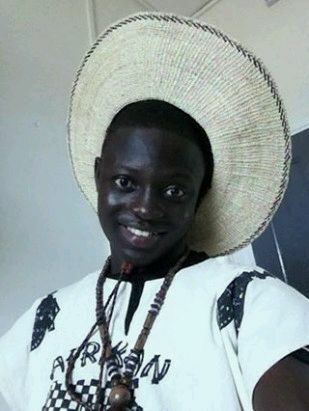 WORLASI: My favourite food is banku with okro stew, filled with crabs, fresh fish and ‘wole’. I dont like ‘poku’, but salmon is cool. And I don’t like plenty palm oil too. K.A: Who is your favourite female and male artiste both locally and internationally? WORLASI: Favourite Ghanaian male artiste? Charley a lot. I respect M.anifest. His writing skill is dope, and Wanlov. In fact, their works are amazing. Those two guys, *sighs*, I can’t choose one and leave the other. However, there are others like; EL, Kojo-Cue, Wanzam, etc. But so far, M.anifest and Wanlov (Fokn Boiz). Their arts are dope. I used to like Irene when it comes to female artistes rating, but I’ve stop hearing from her. Right now, I have begun knowing Nana Yaa, (Pat Thomas’ daughter). I think she is the best female vocalist I’ve ever heard in Ghana. I think she is Dope! Dope! Dope! I’ll pick her over. So far, Nana Yaa is dope. Internationally, I would go for Kendrick Lamar and Hopsin. For female, I think I like Rihanna. K.A: I am a seasonal supporter of FC Barcelona and Kumasi Asante Kotoko. How about you? Both locally and internationally? WORLASI: I’m not a football fan at all. I only love Barça for their skill of playing. They play well sometimes. That’s all. Actually, I don’t watch football, because I’m not a football fan. K.A: Well Worlasi, I think I have learnt a lot from you. But before I leave you, what do you have for the young, up and coming artistes out there who have been touched by your experience so far? WORLASI: Eeii! Hmmmm… This question, hehe… Young, up and coming artistes? I’m also up and coming artiste ooo… Charley. I’ve not gotten to anywhere yet at all. I’ve only released my first project last year in September. I’m still up and coming. I’ve not been in this game long enough to advise somebody on what to do. Moreover, everyone has his/her own ways of doing things. So I can’t show somebody what to do. All that I can say is to do what comes from the heart. Focus on your fans, and always give out to them; the best you can. One has to also respect his/her art and make sure he does not disappoint his fans and himself as well. You understand? It’s all about what you are doing, and that people are falling in love with your work. When you keep that going on, charley, everything will be cool. You feel fulfilled. It’s not about the money and the awards. I don’t care about that. Maybe a young, up and coming artiste wants that. That’s why I can’t actually give advice. Everybody and what he wants to become, and how to be seen in the music industry. K.A: Thanks Worlasi, for granting us a space for this thrilling interview. We look forward to seeing you at the grammy awards in the future. WORLASI: Thanks for having me too, Kofi Acquah.